Automatically browse all video files in your phone. It can also detect videos in the phone memory and SD Card, allowing you to quickly locate and play the video. 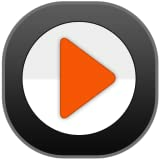 Video Player can play all types of Video files like AVI, 3GP, M4V, MOV, MP4, WMV, RMVB, KV, TS, MPG, FLV, etc. It uses hardware decoding, which make video play smoother. Video Player can also play high-definition videos, movies and flash files.